Mad Science of Berks, Bucks and Oxon is a franchise of The Mad Science Group. Our programs are created by a team of professional scientists and teachers at our head office, in Montreal, QC. Millions of children in over 160 locations, in 22 countries have enjoyed our programs. Mad Science camps in the UK have been running for 10 years. The child to instructor ratio varies depending on enrollment. We always have at least one counselor for every 10 students. Most of our camps are designed for primary school aged children from 5 to 11 years. Mad Science Camps are led by our experienced full time staff with enthusiastic assistant instructors. Known as Mad Scientists, our instructors come from a range of backgrounds including college students pursuing an education or science degree, former/retired teachers, or teachers on summer break. Most have worked for us in our after-school programs and all staff have experience of working with large groups of primary-aged children. Of course all have also undergone an extensive background check and have Enhanced DBS clearance. Before camp season we also ensure all staff receive extra and specific training on how to make our camp experience one that children will always remember, and that parents will know is safe and well organised. The main characteristic of our instructors is that they all share a love of working with children and the desire to share their passion for science and spark their campers’ imaginations! The easiest way is through our online registration system. It takes about 5 minutes and accepts Visa, MasterCard, and checks. 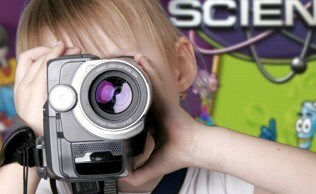 All of our Mad Science hosted camps will be made available through our online registration system. For all camp registrations cancellations that take place up to 14 days before the camp is due to run will be refunded in full. 50% ONLY refunds will be given for cancellations inside of 14 days prior to the start of the camp - we often are under obligation to pay the camp-facility a facility-fee at that point in time. At any time prior to the start of a camp, you may transfer your registration to another child with no service charge. If we do not get sufficient enrolment to hold the camp, Mad Science will make every effort to provide alternative camp locations, or you will be offered the option of a full refund. Once a camp week has started we are unfortunately unable to refund any fees if your child is unwell or cannot attend for any reason. We offer discounts for additional enrollments, and for siblings. Please call us for more information. Mad Science provides all the equipment and materials for both the in-class activities and the take home projects. All you need to provide is a child who is ready to have fun! Children should dress comfortably for that day's weather. We ask that children not wear open toed shoes to a Mad Science camp, specifically no flip-flops. Also, as we will be outside on a number of occasions, please do not dress your child in any clothes that you do not want to get dirty. 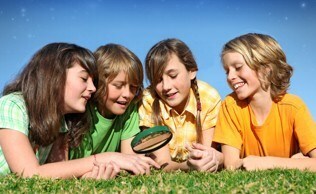 You may wish to apply sunscreen or insect repellent, or send these items with your child. A hat and/or sunglasses may also be useful for warmer seasons. For full-day camps, we require parents to send a bottle of water, packed lunch and snacks. PLEASE AVOID PEANUT BASED FOODS. Please clearly mark your child's name on all items he/she brings to the camp. Please bear in mind that we cannot guarantee to have a fridge to store lunches in.